ATTICA, Ohio – Three first time winners helped Attica Raceway Park kick off the 2015 racing season for the 24th Annual HD Supply/Construction Equipment and Supply Spring Nationals. 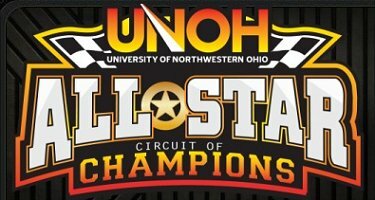 Kunkletown, Pennsylvania’s Ryan Smith would lead all 40 laps to claim his first ever University of Northwestern Ohio All Star Circuit of Champions win with Chris Keller holding off a charging Doug Drown to earn his first ever UMP Late Model win at “Ohio’s Finest Racing” speedplant. Plano, Texas’ T.J. Michael held off a charging Jamie Miller on the last lap to score his first ever 305 sprint victory at Attica. Smith, “The Kunkletown Kid” set out to experience different tracks in 2015. Well it paid off in a big way Saturday. The win not only opened the season for Attica but was also the first point race for Tony Stewart’s new UNOH All Stars who were making their 105th appearance at the track. It was Smith’s first career win at “Ohio’s Finest Racing” venue as well. “I wish we had something like this in Pennsylvania…this was great racing. Small track, elbows up, gas it up. It helped drawing a good number tonight. Laid down a good time and started up front but we were good enough to stay there,” said Smith of his Warko Group/S&S Speedways/Quality Roofing Supply/CnB Chubby/GLT Electrical/Armbruster Racing Photos/HP Engines backed #94. “I was falling out of the seat there…I was hanging on. I was trying to save myself there for a little bit in case someone was coming up on me. I was glad to see that yellow there with three to go…that was a savior. It’s awesome to be here and I’m glad to represent Pennsylvania and all my sponsors. My family is here…it’s pretty cool,” added Smith. Lodi, Ohio’s Andrew Palker would stay close to Smith the entire distance and would hold off Greg Wilson to score the runner-up finish aboard his Seneca Energy/King Inspections/J&J Auto Racing/Albreight Trucking backed #57x. “A great way to start the year. On that last caution I really think I had something for him (Smith). Lapped traffic was holding him up in the middle and we were starting to roll the top pretty good. I hated to see that yellow come out but what are you going to do. First night out this year…sort of same team with some new people on board…what more could we ask for. All the cars are fresh cars…haven’t run them before. We can’t wait to get back home to Wayne County for the next one…we’ll be ready,” said Palker. Greg Wilson would bring his HerculesTires/Ohio Logistics/DNC Hydraulics backed #W20 home in third. In the 25-lap Summit Racing Equipment UMP Late Models, Adrian, Michigan’s Chris Keller would drive around Eric Spangler on lap four and then held off several big challenges from Doug Drown to score the win aboard his Robertson EDM/Dietsch Custom Trailer Sales/Life Changing Realities Church/Magic Fountain Auto Wash backed #00. “This feels great. I’ve been trying for this one for awhile. I figured if I could stay on the bottom most of the lapped traffic was in the middle so I could get around them quick. I saw him Drown on the white flag lap and I said I have to go now. I have to thank Jeff and Belinda Robertson, my car owners, my wife, B.J. Gregory, Brandon, Matthew, Bill…they all give me a lot of help,” said Keller. Michael, who already owns a 305 sprint win in Texas in 2015, got around Jamie Miller on lap 18 and then held off a furious charge by Miller to the checker to score his first career Attica win in the Foster Auto Body 305 Sprints. Michael also made the A-main with the UNOH All Stars earlier in the evening. Gary Taylor and Palker would bring the UNOH All Star field of 26 to green for the 40-lap feature. But Taylor would clip an infield tractor tire on the opening lap and spin, collecting Byron Reed, Travis Philo, Chad Kemenah, Jac Haudenschild, Christopher Bell, and Kyle Patrick with Philo ending up on his side. Taylor, Patrick and Philo would be unable to restart the main. On the second attempt, new pole-sitter Smith would jump into the lead with Palker, Cody Darrah, Wilson and Tim Shaffer giving chase. Wilson would take third on lap four with Dale Blaney also moving into the top five. With eight laps scored the leaders were getting ready to encounter heavy lapped traffic with Smith leading Palker, Wilson, Darrah and Blaney. Smith would get a break on lap 11 when Caleb Helms spun, giving the leader a clear track. The caution would fly again on lap 12 when Paige Polyak coasted to a stop in turn four. Again with a clear track Smith pulled away from Palker with Wilson, Darrah, Blaney, Danny Holtgraver, Shaffer, Sheldon Haudenschild and D.J. Foos in tow. Helms would spin again in turn two on lap 16 to keep the field close. On the restart Smith again pulled away slightly from Palker who was receiving pressure from Wilson. The car on the move was Cap Henry who started 20th and had worked his way to seventh. Smith avoided near disaster at the halfway point when he jumped the cushion in turn three but was able to maintain the lead over Palker, Wilson, Blaney, Darrah, Holtgraver and Henry. With 15 laps to go Smith has raced into heavy lapped traffic again allowing Palker and Wilson to close. Palker was right on Smith’s rear bumper as they tried to put T.J. Michael a lapped down. Smith would muscle his way under Michael on lap 32 and was then able to pull away slightly. The final caution flew on lap 37 with Smith leading Palker, Wilson, Blaney and Henry. That’s how they would run the final three circuits with Smith getting the win over Palker, Wilson, Blaney and Henry rounding out the top five. Darrah, Holtgraver, Shaffer, Foos and Byron Reed would round out the top 10. Ryan Missler and Eric Spangler would bring the field to green for the 25-lap late model feature with Spangler grabbing the lead over Missler, Doug Drown, Keller, Mike Bores, Devin Shiels and John Garvin. Keller would drive into second on the second circuit and immediately pressured Spangler for the lead with Drown and Missler racing hard for third. The caution flew on lap three for a stalled Larry Kingseed. On the restart Keller drove under Spangler to take the lead with Drown taking second the following circuit. The leaders raced into traffic on lap 10 and Drown was right on Keller’s rear bumper with Spangler, Bores, Missler, Ryan Markham, Shiels and Garvin in pursuit. Keller and Drown ran nose to tail throughout the next 12 laps and with three to go a lapped car was holding Keller up. Drown darted to the outside as the two raced side by side for the lead. Coming to the checkers Keller would not budge off the bottom of the track and Drown tried one last shot to the outside only to come up just short. Drown would be penalized at the finish for not going to the scales after the feature was finished. Keller would take the win over Spangler, Missler, Bores and Markham. Trey Jacobs and Miller would pace the field to green for the 25-lap 305 sprint feature with Miller holding off Jacobs for the lead while Seth Schneider moved into third followed by Michael, Kyle Capodice and Ricky Peterson. Schneider would grab second on lap four and closed on Miller as they raced into lapped traffic by the seventh circuit. Meanwhile Michael would drive into third on lap eight bringing defending track champion Jordan Ryan into fourth. Michael and Ryan would swap the third position over the next couple of laps before the red flew for a Paul Weaver tip over in turn two on lap 14. The caution would fly after a lap was completed on the restart when Brian Gibbs spun. On the restart Miller would continue to lead as Michael got under Schneider – whose nose wing had collapsed – for second. Ryan would move into third on lap 17. Michael drove under Miller for the lead on lap 18 but Miller stayed within striking distance. Lapped traffic would come into play with four laps to go as Michael had troubles getting around some of the cars. As they took the white Miller raced to Michael’s outside. Entering the final set of turns, Michael made a daring move under a lapped car and squeezed Miller up the track to take the win. Ryan would finish third with Schneider and Bobby Clark rounding out the top five.